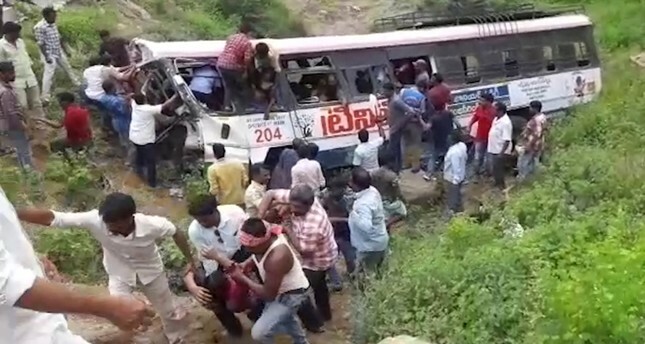 The bus, part of the state-run network in Telangana, was returning from a hilltop temple in the district of Jagtial, about 190 kms (118 miles) from Hyderabad, the state capital, a district official said. "The bus accident ... is shocking beyond words," Prime Minister Narendra Modi said on social network Twitter. "Anguished by the loss of lives." India has the world's deadliest roads, with almost 150,000 people killed in accidents in 2016, the latest government data shows, up 3.2 percent from a year earlier.